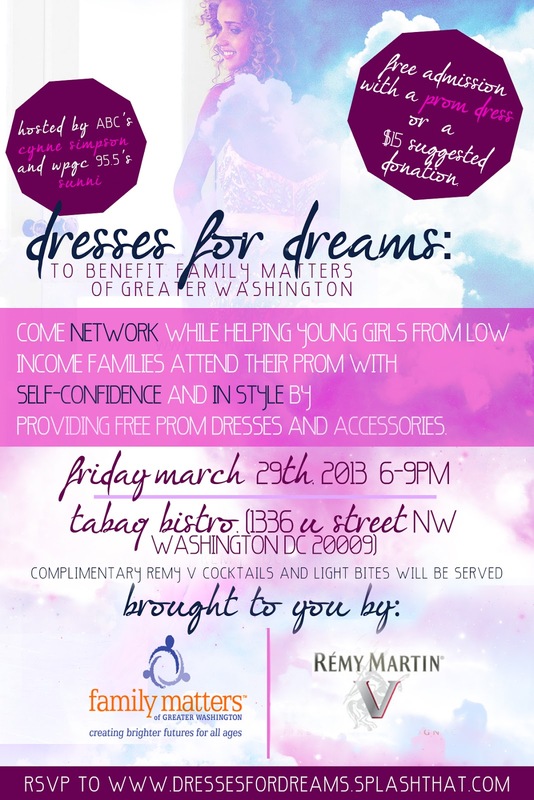 Join us this Friday, March 29th at Tabaq Bistro from 6-9PM for ‘Dresses For Dreams’ hosted by ABC’s Cynne Simpson and WPGC’s Sunni (And The City). Admission is FREE with a prom dress or accessories/shoes! Come network and enjoy complimentary Remy V cocktails and light bites while helping young girls from low-income families attend their prom with self-confidence and style.